Games start tomorrow with the play-in 8/9 and 7/10 games for both men and women. 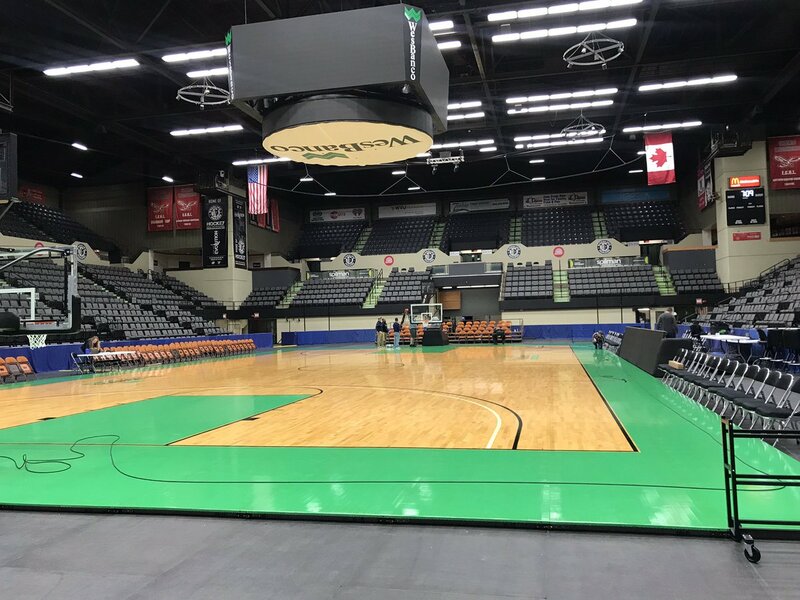 The tournament is now in Wheeling....long overdue for a change of venue. The crowds will be improved. There is no question on that. How much improvement? I believe the Friday, Saturday and Sunday games will show. I believe it will be significant. Wednesday night: #7 Shepherd vs #10 UVA-Wise ..... in a battle of the Exiteers. UC vs Concord looks to be a real good matchup. I don't see the other quarters being that great, although Shepherd has a decent squad that could give Fairmont some trouble. Of course, they would need to be Wise first. WV State lost their top player about a week ago. Saturday afternoon is the semis and Sunday afternoon is the championship for the women. Glenville is a lock to make the women's field of 64. It looks like the MEC has 3 quality teams battling for a NCAA tournament bid or bids after that. UC turned around their program quick. Kenny Osborne always does a good job at Concord. West Liberty is back up in the women's race. Interesting field on the women's side. Last edited by JDonAB92; 03-05-2019 at 02:00 PM. Man ... that's a nice arena. Have they ever considered playing all the WL vs WJ games there kind of like Pitt and Duquesne play at PPG Paints Arena? Wouldn't have filled a section this past weekend if they did. I attended the WJU/WLU game at WJU this past weekend. Even though WJU is young, I expected the typical raucous crowd that usually fills that place up for that game with a great energy. It was an 85% WLU crowd, and there didn't appear to be nearly the energy or juice you expect of a rivalry game. Maybe their students were on Spring Break? That's actually a reasonable guess. You might be right. Seems like the WLU v WJU rivalry needs juice to get the visiting (and even home) fans to attend. Particularly as the regular season ending game when everything is kind of sown up. WJU was ending a bad year...WLU was ending a very good one...no tourney seeding on the line. Saturday afternoon in early March...plenty to do other than either drive up the hill or leave the dorm to attend a relatively meaningless basketball game!!! I only guessed it because that's exactly where Cedarville students are this week. Unfortunately, our students will not be showing up for the tournament games. According to the WJU calendar, the student body would have left Friday for spring break. But as was mentioned, WJ dropped off in basketball this year although it appears they came on a little bit towards the end of the season under their new coach. I thought that might have been a Yellow Jackets logo as your avatar. I attended a few Cedarville games back in the day when I lived in Western Ohio. I still have a Jackets t-shirt that was tossed out at halftime of one of those games. If I recall, there were some BIG TIME women's teams at Cedarville in the not-too-distant past that I recall looking pretty unbeatable in those days. I believe both Jesuit and WL started spring break last Friday. Either way this year was lacking the uncertainty of what the outcome may be. Previous 3 or 4 years it was a matchup of top tier teams that were very close in talent and success. This year not so much. Yes, the women's team has been strong for years (co-champs again this year). In recent years, the men have lagged behind. That said, the men actually had their best year in a long time this year and are in the conference final four. Former Olympic gold medal winner and Maryland Terrapin Vicky Bullett had her WV Wesleyan squad ready to go today. Wesleyan as a 10 seed defeats 7-seed Fairmont State by a final score of 67-55. WV Wesleyan advances to tomorrow's quarterfinal round where they will take on the #2 seed University of Charleston. #9 WV State holds on to defeat the #8 Shepherd 87-86. WV State held a huge lead, at times at 20 points, before Shepherd began making a tremendous run in the 4th quarter. Shepherd outscored State 25-12 in the 4th quarter and had a chance to win it. WV State advances to take on Glenville State which will be an up-and-down affair to say the least as both teams play the same style of ball. Remember that WV State head coach Charles Marshall was the head women's basketball coach at Glenville before leaving to take the head job at WV State. I believe Marshall was and assistant under Bunky Harkleroad when Glenville's coach Stephens was a player there. Wow--two games; two upsets already! Let the madness begin! Right now, Wheeling is up big, 44-23, on WV Wesleyan. Game is in the second half. Wesleyan on a 12-0 run has cut the lead to 44-35 with over 12 minutes to play. Wheeling Jesuit answers with a 14-0 run and now leads 58-35 with just over 5 left. Wesleyan has had open looks but can't buy a basket from the outside. A lot was made about Sancomb leaving this summer. This coach has done a good job with the roster. He deserves some credit for putting together a nice, athletic team. I realize they are only 9-20 on the season, but they will now have won 7 of their last 10 games. Wheeling will advance to take on #1 seed West Lib on Friday. Thought you were an anti-MEC guy?